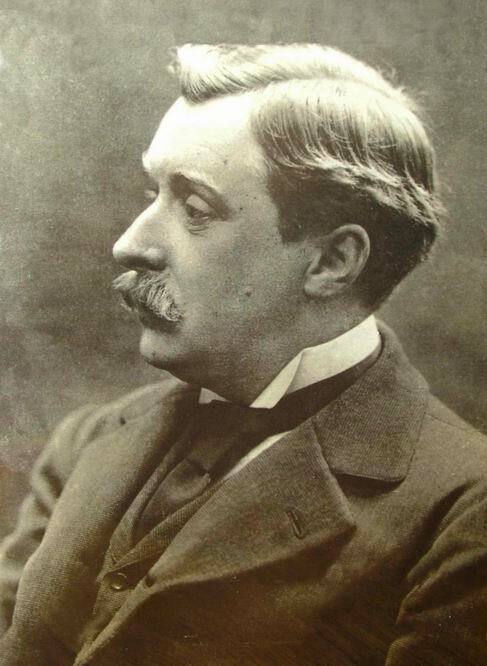 Alphonse Allais was a poet, a humorist and the editor of the Chat Noir, a satirical magazine. He commissioned his friend Félix Fénéon to write a diary commenting on the avant-garde art scene for the Chat Noir. 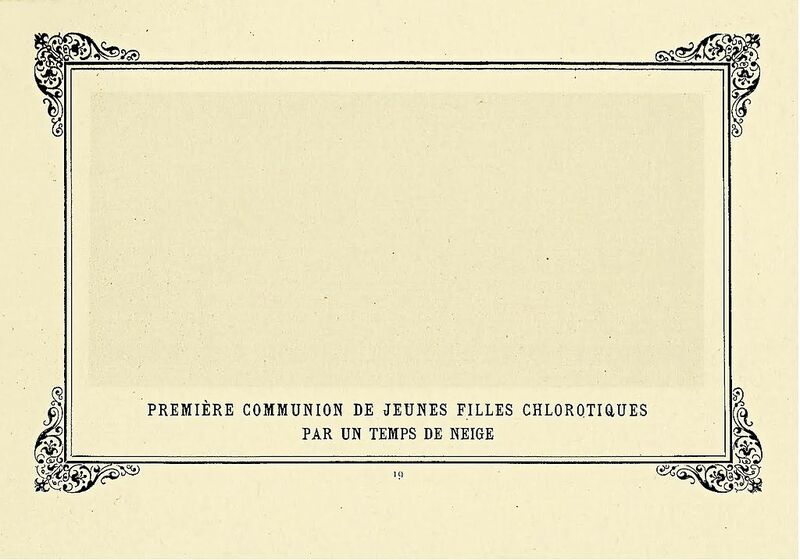 At the 1883 exhibition of the Salon des Arts Incohérents Allais exhibited a sheet of blank white paper entitled The First Communion of Anemic Young Girls In The Snow) and a year later he followed up with the entirely red Apoplectic Cardinals Harvesting Tomatoes on the Shore of the Red Sea. These two very amusing pieces were partly an ironic comment on the trend among some landscape artists such as Courbet and Whistler to create works which were almost empty of content. It was a tendency which must have influenced Seurat, particularly in regard to his ‘Marines‘ and conté drawings as well as his early croquetons – small sketches for his larger ‘salon’ paintings. With his two jests at the Salon des Arts Incohérent, Allais anticipated by many years the ideas of Dada and Surrealism, even perhaps conceptualism.